This is a set of two Traxxas BFGoodrich Mud-Terrain TA Tires, Pre-Mounted on SCT Split-Spoke Wheels. These are intended for use on the front and rear of the Traxxas Slash 4x4, as well as the rear of the Traxxas Slash 2wd trucks. 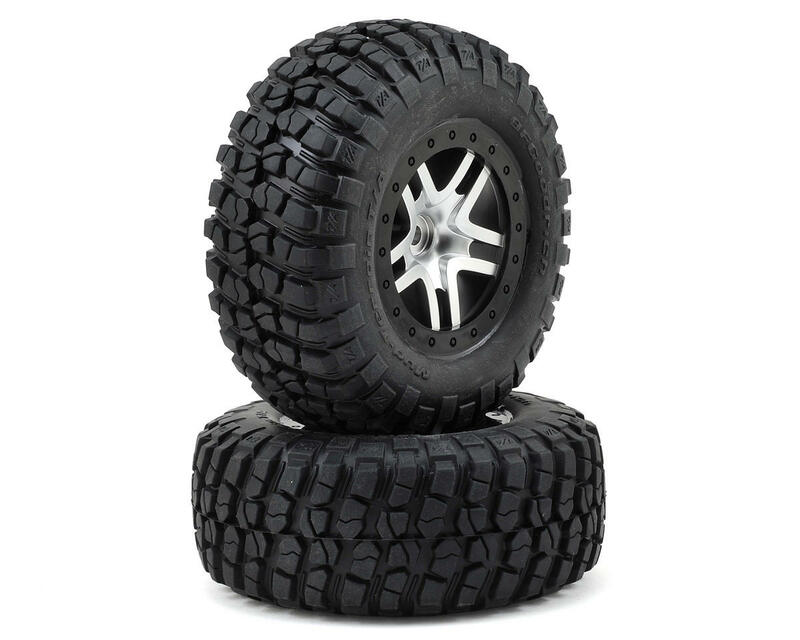 These are the fully licensed BFGoodrich Mud-Terrain T/A tires, and have been proven performers in TORC series competition. The distinctive tread design has been faithfully re-created in high grip rubber, complete with white sidewall lettering, and is available in standard "hard' and race proven "S1" soft compounds to suit a variety of conditions. Standard compound is a long wearing rubber blend that will stand up to abuse on concrete and pavement, while S1 compound delivers precise steering and incredible grip for the Slash 4X4, and is ideal for improving rear bite on the 2WD Slash. The Split Spoke design of the SCT wheel, features a satin chrome center and color molded bead lock detail for a realistic look. 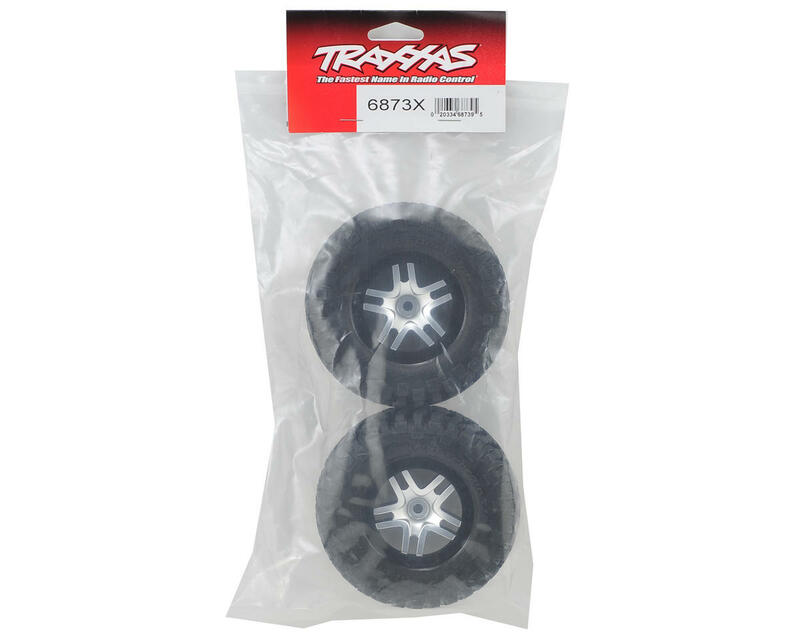 Fully compatible with factory Traxxas and aftermarket 2.2/3.0 tires, the wheels feature 12mm hexes and the same offset as slash 2wd rear wheels.